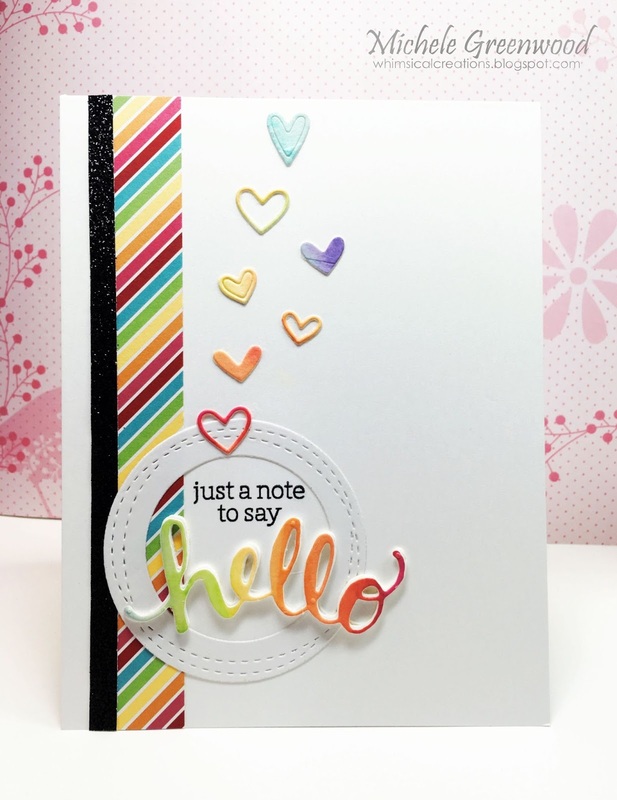 Greetings – welcome back to another fun RAINBOW challenge. 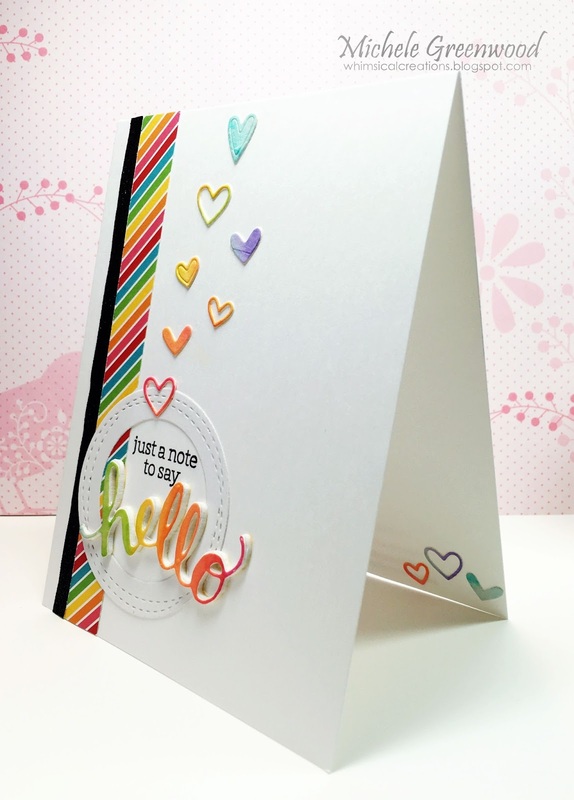 I made a very CAS (clean and simple) card using some rainbow paper, a bit of glitter paper and a fun rainbow HELLO with matching hearts. I colored a piece of watercolor paper with Zig Clean Color Brushes and lots of water letting the colors run together, then die cut the hello. I also cut the hello from white fun foam for quick and easy dimension. The circle is from MFT’s wonky circles, I cut two different size circles at the same time to get the open circle frame, stamped the sentiment inside the frame with Hero Arts black ink. I used Laurie’s trick of applying Press’n Seal once I had all the hearts in place, peeled it off, flipped it over to apply adhesive, then flipped back over and pressed the hearts onto the card. Easy peasy! 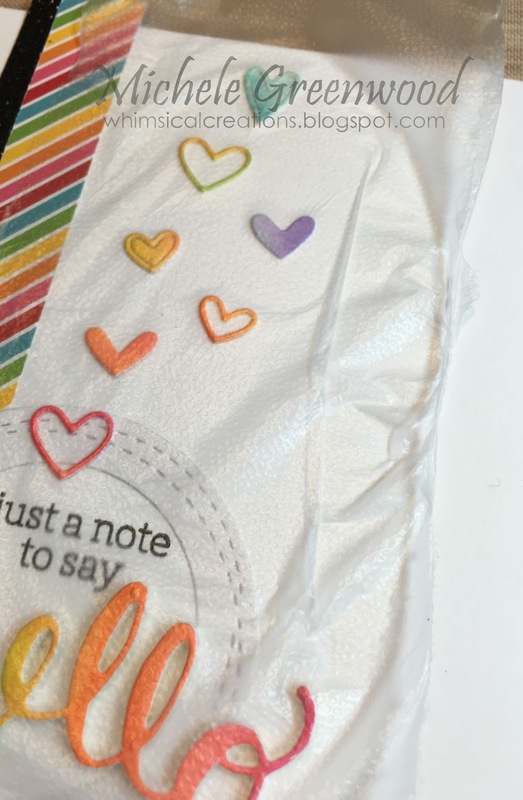 Thanks for stopping by; hope you can join our RAINBOW challenge this month, link up is HERE. Such a Happy n cheerful card ,loved it !